Rick Bumgardner at his home in Knoxville, Tennessee. (Rick Bumgardener was featured in the book What I Eat: Around the World in 80 Diets.) 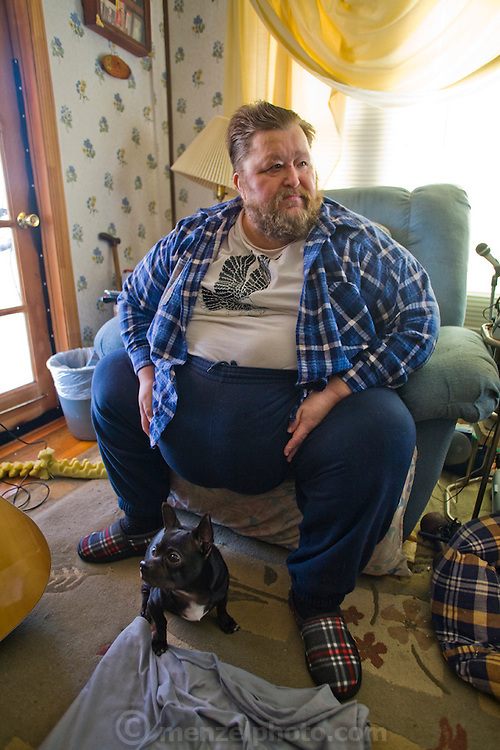 Disabled due to his 500 pound weight and diabetes, Rick is dieting to reduce his weight by 100 pounds so that he can get gastric bypass surgery to lose another 200 pounds. MODEL RELEASED.